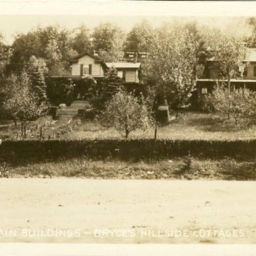 Postcard showing the Main Building of Bryce's Hillside Cottages in Bayse Virginia. Later this facility would become Bryce resort. 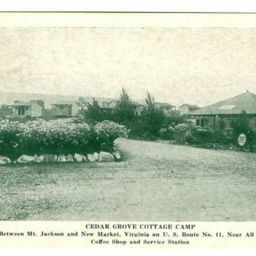 Postcard showing the Cedar Grove Cottage Camp located between Mt. Jackson and New Market Virginia on Route 11. 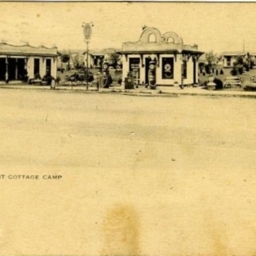 Postcard showing a drawing of the moonlight cottage camp located near Mt. Jackson Virginia. 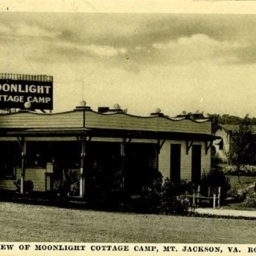 Postcard showing a partial view of the Moonlight Cottage Camp located near Mt. Jackson Virginia on US Route 11. 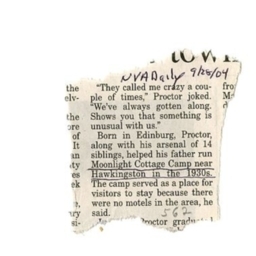 Clipping of a newspaper article discussing a "Proctor" who helped his father run the Moonlight Cottage Camp near Mt. Jackson Virginia. 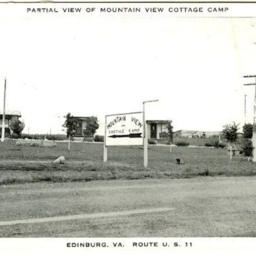 Postcard showing a picture of the Mountain View Cottage Camp located in Bowman's Crossing. It operated from ca. 1920 until ca. 2000.